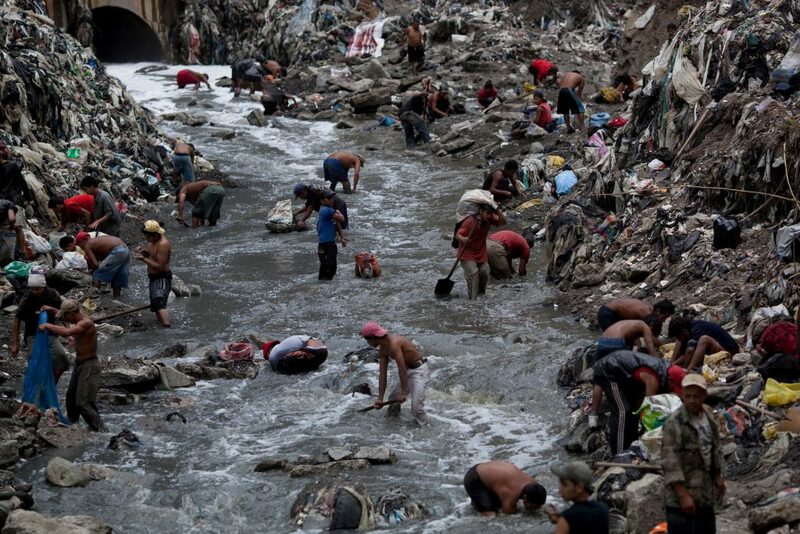 People look for scrap, bronze, gold and silver in the lowest section of the urban dump called “Mine” in Guatemala City, Oct. 19, 2011. AP Photo by Rodrigo Abd. 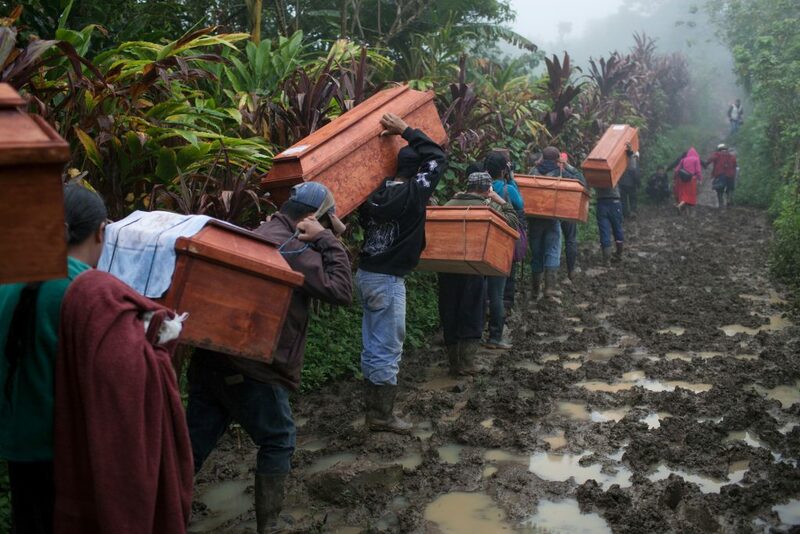 The reasons why people are fleeing Guatemala are explored in a provocative photography exhibit that opened this week at the Prichard Art Gallery in Moscow. “Push Factors: Perspectives on Guatemalan Migration,” considers the gritty reality of life in Guatemala along with the ways migrants are stereotyped in society. 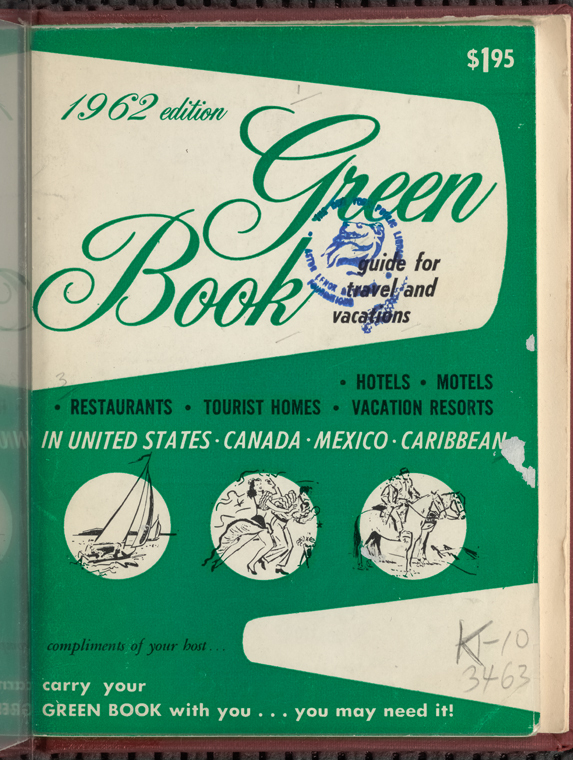 It features work by award-winning photographers and photojournalists Rodrigo Abd, James Rodríguez and William B. Plowman, along with written accounts from migrant youths. An opening reception will take place 5 to 7 p.m. Tuesday, Jan. 22 at the gallery. Rodriguez will speak at the reception, which is free. He also will speak at noon Thursday, Jan. 24 at the gallery. The exhibit runs through Feb. 24. It was organized by Curators Without Borders and is a collaboration with the University of Idaho’s Martin Institute. Gallery hours are 10 a.m. to 8 p.m. Tuesday through Saturday and 10 a.m. to 6 p.m. Sunday at 414 S. Main St.
Community members from Estrella Polar and Covadonga hamlets head to the cemetery to bury the human remains of 77 war victims exhumed from mass graves in 2009. The victims were killed during the Covadonga massacre by the Guatemalan military forces on March 29, 1982, during the de facto government of General Efrain Rios Montt as part of a scorched earth campaign against numerous Mayan villages believed to support the guerrilla forces. Estrella Polar, Chajul, Quiché, Guatemala. Nov. 20, 2014. Photo by James Rodriguez. Rodrigo Abd, from Bueno Aires, Argentina, is a staff photographer for The Associated Press based in Guatemala. He covered Venezuela’s presidential elections in 2007 and 2012, the Haitian earthquake in 2010, and the Syrian armed conflict in 2012, for which he won the Pulitzer Prize for Breaking News Photography. Based in Guatemala since 2006, James Rodríguez focuses on post-war processes, human rights abuses, land tenure issues and social conflicts caused by extractive industries in the region. Publications he has worked include the International New York Times, National Geographic and The Guardian. William Plowman is based in Washington, D.C., and is the contributing photographer for NBC’s weekly political news program “Meet the Press.” His work focuses on issues of political, economic, social and humanitarian import around the world. 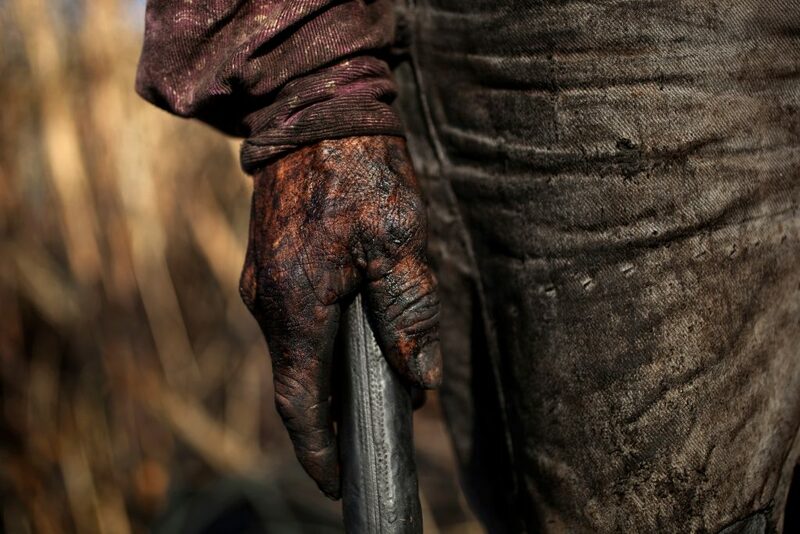 A hand covered with sugar cane ash is seen in a field near Retalhuleu, Guatemala, Nov. 26, 2011. Sugar production is Guatemala’s most important agricultural export making it the fifth largest sugar exporter in the world. The industry employs around 350.000 workers during the harvest season that lasts from October to March. People earn around 60 Quetzales a day (around $8 a day in the U.S.). Photo by Rodrigo Abd.